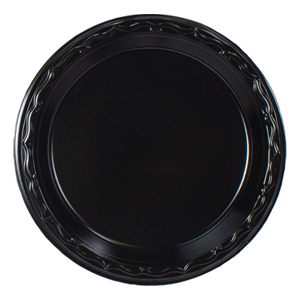 Our Silhouette premium black plastic dinnerware is second to none in quality and appearance. With a variety of plastic plates, bowls and platters, it's easy to make a visual impact at any table setting with this elegant collection. Popular occasions that call for such high quality and good looking dinnerware includes catering events, dinners with red sauces and any application that requires a strong, sturdy item. 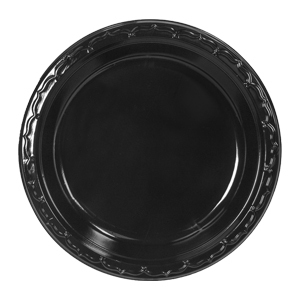 Our Silhouette black plastic plates, platters and bowls create a stylish yet refined flare to your food application. 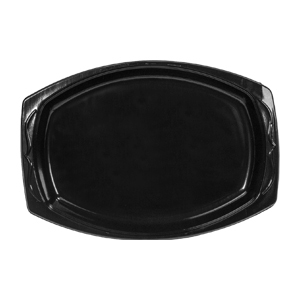 With the high sheen black finish, these foodservice supplies are ideal for hot or cold food prep. 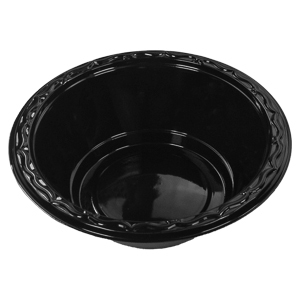 Our bowls come in 12 and 16 ounce sizes, while the round plates are available in 6, 7, 9 and 10.25 inch diameters. We even offer compartment versions of our plastic plates. 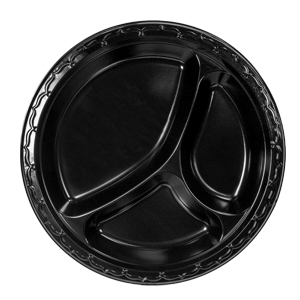 The Silhouette plastic platter is currently available in a 7 x 10.5 inch size. 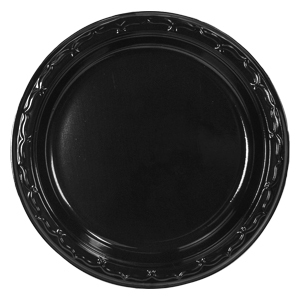 To help protect your food before and after being served, be sure to check out our crystal clear lids as well. Length: 20.875" Width: 12.375" Height: 6.813"
Length: 16.875" Width: 12.375" Height: 6.813"
Length: 16.125" Width: 14.375" Height: 7.625"
Length: 15.625" Width: 9.500" Height: 9.750"
Length: 16.625" Width: 10.750" Height: 9.625"
Length: 15.875" Width: 10.500" Height: 10.813"
Length: 16.375" Width: 10.500" Height: 10.813"
Length: 18.375" Width: 10.625" Height: 8.375"